One common question many novice gym goers ask themselves is "Are bananas good for muscle recovery?". The truth is bananas are actually one of the most popular foods in bodybuilding. They are high in potassium and soluble fiber, an excellent source of vitamin B6, contain moderate amounts of vitamin C and has an array of other valuable nutrients like magnesium, choline and phosphorus. In 100 grams of raw bananas, you get 23 grams of carbs, 12 grams of sugars, 2.5 grams of dietary fiber, a negligible amount of protein and fat and only 89 calories. Many weightlifters use bananas for muscle recovery in their post-workout nutrition for good reasons. After an intense workout, your body loses electrolytes through sweat and when this happens, you are prone to get muscle cramps, muscle soreness and fatigue. Like mentioned earlier, bananas are rich in potassium which is an electrolyte. This is why having bananas post-workout is a good idea as you can recharge your electrolyte depletion. 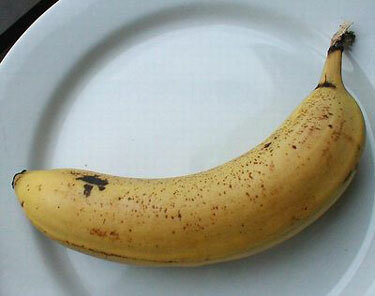 A medium banana contains 422 grams of potassium and is one of the best foods for potassium intake. Bananas are a medium Glycemic Index(GI) carbohydrate at around 53. The lower the GI, the slower the digestion and the higher the GI, the faster the digestion. They contain three natural sugars ie fructose, sucrose and glucose. In a medium banana, there is approximately 5.7 grams of fructose, 5.9 grams of glucose and 2.7 grams of sucrose. As a fruit, bananas are favored post-workout due to its interesting amount of glucose. Glucose also known as dextrose is a popular fast-acting carb post-workout to replenish depleted muscle glycogen stores(sugar storage cells). Bananas are versatile and can be used in many different ways for your training and nutrition. Since bananas are sweet, they are a great addition to any breakfast notably with cereals like oatmeal and muesli. Just add a few slices of bananas over your favorite cereal. 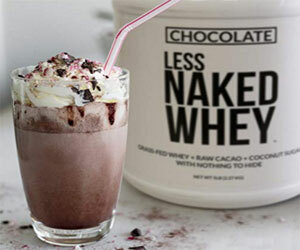 Add bananas and your whey protein powder in some skim milk, mix everything in a blender till a smooth consistency and you get a nice refreshing whey protein shake. A great idea is to freeze your banana and what this does is give your shake a creamier and richer texture plus a cold drink without the need to add any ice cubes. Bananas can be kept in the freezer for quite a long time. Be sure to peel off the skin first before freezing as they are a hassle to remove afterwards when they are frozen. If you already had a meal like brown rice and chicken one hour and a half before your training starts, you can have one medium banana 30 minutes before you go to the gym for that extra energy kick. Now that you know how bananas can play an important role in muscle recovery, start adding them in your diet.